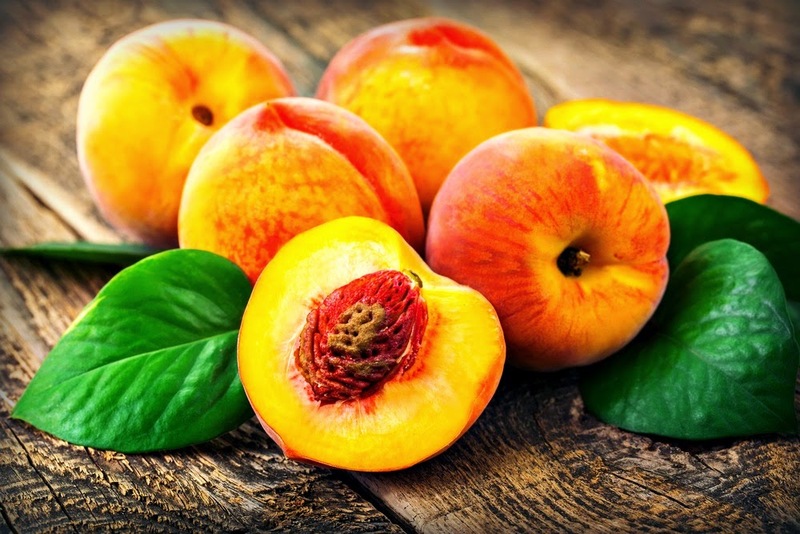 The Life Extension Blog: Can Peaches Prevent Breast Cancer? Can Peaches Prevent Breast Cancer? You may really enjoy peaches in the summer, but could they also be protecting you from breast cancer? The answer may be a resounding yes, according to the results of a new study. Scientists at Texas A&M AgriLife Research found that peaches had the ability to prevent breast cancer cells from spreading. Interested as we are? Then keep on reading! The compounds responsible for the anti-cancer effects are called polyphenols. They target enzymes called metalloproteinases, which play a role in the spreading of cancer cells. Polyphenols are found in a variety of fruits and vegetables. They display potent antioxidant effects and prevent chronic diseases. The results of this study are important considering that breast cancer metastasis is often more deadly than the original tumor. Additional treatments are needed to prevent breast cancer cells from spreading to the lungs, brain, and bones. Also the results can easily be applied to people. In the study, rats were given a dose range of 0.8–1.6 mg of peach polyphenols. For humans, that translates to about two to three peaches a day, which is a reasonable amount of fruit to eat on a given day. The study emphasizes the importance of plant-based diets for breast cancer prevention. Other research shows a diet rich in fruits and vegetables can reduce the risk of breast cancer significantly. These, along with exercising, keeping a healthy weight, drinking sparingly, and not smoking are additional ways to prevent the disease. Additional studies are needed to determine if peach extracts could treat breast cancer in humans, but in the meantime it can’t hurt to eat more peaches. With breast cancer affecting about 1 in 8 women, breast cancer prevention should be a top priority for all women. For more info on the topic, check out the following link. It supplies lots of additional information on breast cancer prevention and treatment: Breast Cancer Protocol. Here is a peach recipe in case you’re looking for a creative way to incorporate the fruit into your diet, courtesy of Whole Foods. Enjoy! Put all dressing ingredients in a food processor or high-powered blender and puree until smooth. Add a little water if needed to thin to a pourable consistency. Toss salad ingredients in a large bowl. Drizzle with dressing, toss to coat well, and serve immediately. Enjoy! J Agric Food Chem. 2009 Jun 24;57(12):5219-26. Available at: http://www.jnutbio.com/article/PIIS0955286314000539/abstract. Accessed April 15, 2014. The presence of polyphenols really do hold a lot of benefits it would seem. These are one of the nearly 100 active compounds found in coffee, and there are several studies which have linked this ancient beverage to significant health benefits as well. The most recent cancer-related study found that drinking coffee regularly could help reduce a person's risk of developing liver cancer by as much as half compared to those who don't drink regularly. Whether its from peaches or coffee, polyphenols really have me intrigued as of late. Stephen Knows Cancer - Much of the health benefits stemming from food are related to their polyphenol content. Thanks for chiming in! Naturally, I’d be delighted if you share this embeddable graphic on http://blog.lifeextension.com/2014/05/can-peaches-prevent-breast-cancer_13.html , and/or share it on social. Either way, keep up the great work Maylin! nicole.lascurain@healthline.com - Thank you for providing us with this information- we'll check it out! Thanks for stopping by our blog!